Maggie Stiefvater must be one crazy woman. She's is constantly surprising with the depth and charming morbid tone of her books. But this isn't about her, it's about the book, right? I've been holding my breath for this book ever since I finished reading Shiver and discovered that there was going to be a sequel. Maggie Stiefvater captured me in Shiver with her writing style but mostly, the characters that she had created. I'm usually not one for romance-oriented book, because it's difficult to lay hands on one that is as well written as I'd like it. But Sam and Grace have come to life over and over again. As I was reading, I was trying to discover what it was--exactly--that Maggie Stiefvater did to make it so...good. Just within a few paragraphs, you've got the main foundation of the character and you feel almost like you know them. Something hard-pressed for writers to do, I know. How can you convey your characters, make them seem as real to everyone else as they are to you? One thing...I would love to spend an hour in Maggie Stiefvater's head. Preferably when she's writing. In Linger you're presented with a new character: Cole. Strange thing is, I never really thought of him as a jerk. Maybe because I was reading from his point of view sometimes? But something about the characters made them seem in harmony. All of them had their distinctive point of view and voice. You could tell the difference between Sam's POV and Grace's POV...Isabel's POV and Cole's. Another thing I love is the quiet humor. Isabel is, beyond a doubt, my favorite character. She's so open and honest and sarcastic. Grace has her moments, too, but with Isabel, it's all the time. I loved that. She seems like a cool chica. I don't really think of her as a cold or unkind person. Just blunt and with her priorities in order. Now in Linger the characters we've all come to love are deepened. I get the feeling that Maggie Stiefvater was exploring the depths of her character's emotions, reactions, and minds. The slowly building tension started from page one and I nearly felt like crying at the end--not something I feel often, grant you. Overall, Linger joins the ranks of my all-time favorite books. But not something I will reread in full. It's almost as if you've got to take in the first time. I know that this is just me being me, but it feels almost like a topic too delicate to touch again. Eh. Just saying. 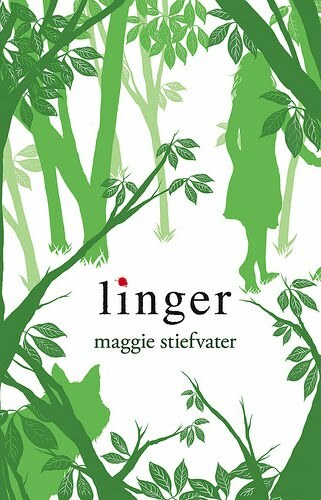 If you loved Shiver, you'll love Linger. If you haven't read Shiver yet, you should probably give it a shot. But be warned, if you're wanting for action-packed adventure, don't go with Shiver. This is a romance with a slow, moody tone. Just so you know.